Water testing doesn’t have to be a complicated process, and your Columbus, Ohio RainSoft team can help you quickly (and easily) discover what’s in your water. Our experts can test your tap water for hardness, chlorine content, and pH balance, along with an extensive range of additional elements that may be negatively impacting your home’s water quality. 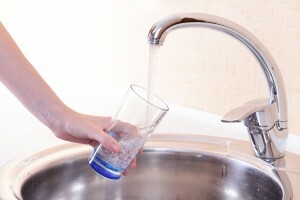 If your water has undesirable characteristics – such as a bitter taste or a strong smell – our water testing team can help you pinpoint the cause. For instance, we may find that its metallic flavor is the result of a high iron content, or that its cloudy appearance is being caused by residual sediment. While these issues don’t necessarily make your water unsafe, they can make it quite unpleasant to use! The first step in resolving these issues is scheduling a complimentary in-home water testing appointment with RainSoft. Once your authorized Columbus, Ohio RainSoft dealer has determined which water problems need to be addressed, we can begin tailoring a solution to meet your needs. While we offer a wide range of products to address an equally wide range of water quality issues, we know that no single system can meet every homeowner’s needs. That’s why we customize our solutions for each individual customer, based on their budget, their lifestyle, and their specific water testing results. We’ll focus on the most efficient ways to make your good water better – and we’ll back each purchase with a Limited Lifetime Warranty. Ready to get started with a complimentary in-home water test? Call us today to schedule an appointment with your Columbus, OH water testing team from RainSoft.